My interest in the Chinese language began midway through the master’s program at Five Branches University. 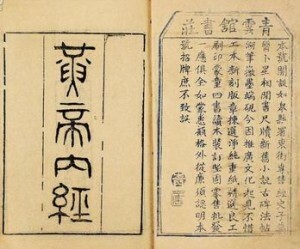 I loved the medical classics of the Han dynasty, and I knew that one day, I wanted to read them in the original Chinese. 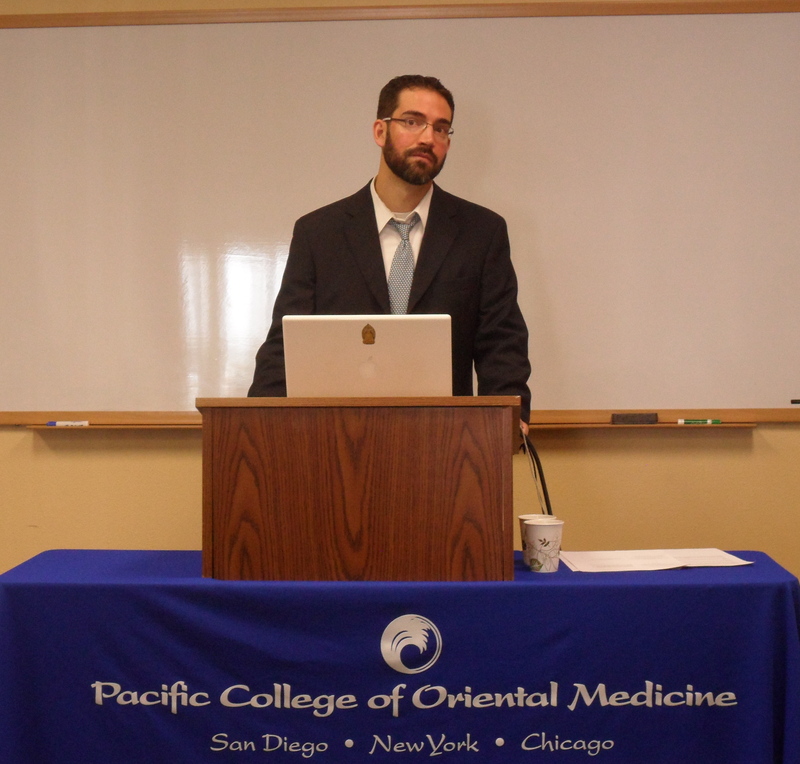 After graduation, one of the reasons I chose to pursue a doctorate at the Pacific College of Oriental Medicine (PCOM) was because the program included Chinese medical language. I was exceptionally fortunate to have a brilliant teacher for the first two semesters of study. She could tell I was seriously interested in the language and was very helpful and encouraging—in fact, she later served as the chairperson of my DAOM committee! Over the course of those two semesters, she taught us the basics of Chinese language and grammar. She did more than that, though, because she also taught us how to use Wenlin for the purposes of translation. Knowing how to use Wenlin has saved me countless hours of looking up unfamiliar characters in a dictionary (though decent translation still requires the use of multiple dictionaries). We worked with Paul Unschuld’s book, Learn to Read Chinese (Vol. 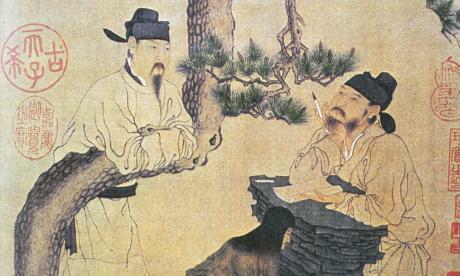 1), and we also discussed the often heated debates between notable translators in the field of East Asian medicine. With her as my guide, in two semesters, I had reached the outer gate of Chinese medical language. After that, she resigned from her post to focus on her PhD, and the remainder of my language training at PCOM consisted of learning characters that were especially relevant to Chinese medicine. To be completely honest, other than my training at PCOM, I didn’t really spend much time with the Chinese language until last year. As a teacher, I still used Wenlin to add the Chinese characters (and Pinyin) of herb names—and the characters for key concepts like qì, yīnyáng, and wǔxíng—to my class notes, but I never really went beyond that. Less than a year ago, I started a Facebook group, called Scholars of Chinese Medicine, to provide a place for practitioners, teachers, and students to discuss Chinese medicine on its own terms. A place where disputes were settled by citing sources, and where the classics were quoted frequently. To my great joy, there were others who shared this vision, and we have worked collectively to create a vibrant online community that currently has over 2,100 members. Whether due to divine providence, sheer dumb luck, or a fortuitous combination of both, some major scholars began participating in the group. And with them came the Chinese characters. On occasion, when some member of the community would ask a question, the response would come as a stream of Chinese characters. Thanks to my previous training, I began copying and pasting these characters into Wenlin in an attempt to decipher the different responses. After a while, I got better at it. I also noticed that many of the citations were coming from sites like The Chinese Text Project or The Qi, so I began familiarizing myself with the different texts available online. I recognized the names of the Huáng Dì Nèi Jīng (黃帝內經), Shāng Hán Lùn (傷寒論), and other classics, and I noticed that there were commentaries to these books available as well. So I got curious, and I started looking at the Shāng Hán Lùn and Nèi Jīng, along with their different commentaries—nothing monumental, just a few key lines at a time. Depending on the author, time-period, and writing style, I was occasionally successful…and occasionally frustrated. With practice, my skills improved. To give a frame of reference: when I began, 1-2 lines of text would take about 15 minutes, and a larger paragraph could take up to 2 hours. Now it takes roughly 1/3 that time. My newfound comfort with these resources was a big help in the classroom, and it enabled me to give the students something more than they would have gotten otherwise. Being an English-speaking teacher of the classics, who is teaching English-speaking students, there are limited resources available. These additional resources in Chinese were a great addition to the curriculum. Let me be clear: having one English translation of a medical classic is reasonable for a curious student or practitioner, but to teach the classics at the doctoral level, one needs to look at multiple source texts (even if they are all in English). More to the point, sometimes the answers to ambiguities in the classics can only be elucidated by looking at commentaries—and not just one commentary, but multiple commentaries on the same line! These commentaries are in Chinese, and would otherwise be inaccessible, if not for my limited language skills. Thus, in addition to having multiple English translations and numerous articles on the classics, the ability to access over 1,000 years of commentary from Chinese authors was an invaluable resource. For a scholar of the medicine (or, in modern parlance: a total Chinese medicine nerd), I’ll admit there was a certain glee that came with knowing I was reading commentaries that few of my English-speaking colleagues had even seen! And, from a teacher’s perspective, it was incredibly rewarding to give students access to this material. I still stand by the claims that I made in my original post on this topic: that post was directed at students and practitioners who were interested in, but intimidated by, the classics. As a matter of practicality, English-speaking students should first study the classics in English, but those who are interested should be encouraged to go further. Whenever possible, teachers should seek to incorporate Chinese characters into their lessons, so that the students will feel more comfortable with them in both their present and future endeavors. Those English-speaking teachers who have some familiarity with the Chinese language should do their best to incorporate bits and pieces from different commentators into their lessons, as a reminder to students—and, hopefully, as an inspiration to a few—that Chinese medicine is a world of diverse opinions. In my next post, I will share some of the resources that have been helpful to me in my own journey, and show you how to utilize them.